January is Sparkling Wine Month on TheWineStalker.net! Towards the end of 2014, while I was writing my three part series on sparkling wine (A Bubbly Biography - The Story of Sparkling Wine), I went to work and thought "wait... why don't we carry ANY Cremant?" I had never really thought about it before but, I guess because I was in the middle of a two month long research and writing binge on sparkling wine, it was hard not to notice. Cremant is pretty damn good quality sparkling wine from various regions in France, such as Alsace and Loire, and for much less of a price point than champagne. So I scoured the Massachusetts Beverage Journal for Cremant, and German Sekt while I was at it, and surprisingly there weren't many options out there. After tasting some samples, I ended up bringing in Joseph Cattin Cremant d'Alsace Brut, Klipfel Cremant d'Alsace Brut and Fitz-Ritter Riesling Extra Trocken Sekt. In the spring I plan to see if I can add Dr. Loosen's Sekt into the mix as well. But enough about that. 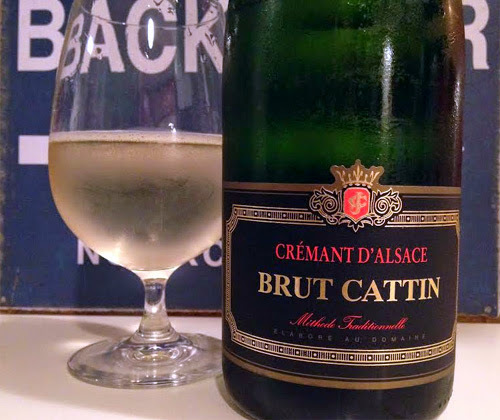 This is a review of the Joseph Cattin Cremant d'Alsace Brut. The Cattin family moved from Switzerland to Alsace in 1720. Alsace was tossed back and forth like a hot potato between France and Germany throughout its history, but at the time it was under French rule (as it is today). It was also historically an incredible place for making wine, and the Cattin's jumped right into the trade. Joseph Cattin wouldn't come around until the late 1800's, and he is credited with doing some great grafting work to save Alsatian vineyards from phylloxera. The Domain is now the most popular sparkling wine producer in Alsace. Their Cremant d'Alsace Brut uses Pinot Blanc, Pinot Gris, Riesling and Chardonnay in the blend but the percentages of each one varies from year to year. Second fermentation is done using the traditional method and it's got a final ABV of 12%. Visually the wine is beautiful. The color is a light hue of gold (like real gold, not the color we call gold). The head sticks around for awhile instead of dissolving quickly after pouring, and the bubbles rising from the bottom are plentiful and consistent. Just looking at it is enough to make you drool in anticipation. It's been a long few days, my entire body is sore, and I'm thirsty as hell so I chug a few gulps before I even smell it. If that's wrong then I don't want to be right. Those gulps hit the spot but it's way too cold. I allow it to warm up a bit so I can get some aromatics. The nose shows apples, peaches, walnuts and carnations. Yeah, that's right! I specified carnations! 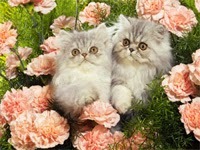 My mom loves carnations, wanna fight about it? At one point while enjoying this bottle and taking a good sniff, the picture of Chinese chicken wings appeared randomly in my head. But it wasn't just an alcohol induced vision of how hungry I was. As the wine warms up, slight aromas of brown sugar and soy sauce come out. The first thing I get off the palate is a burst of lively acidity. That's followed by flavors of lemon, nectarine and melon. It finishes with kiwi, walnuts and white pepper. There's just a little dab of sweetness but, thanks to the acidity level, it's not obviously detectable and could come off to some as almost bone dry. All across the internet this wine is slammed for its "lack of complexity". But guess what? All across the internet Mumm Napa Brut Prestige is praised for being an example of excellence and you saw what I said about that just a week and a half ago. But whatever. 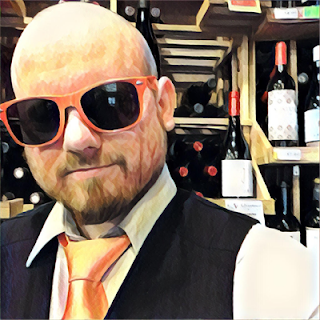 This idiot right here has differing opinions from Cellartracker commenters. I love this wine and I'll tell you why: it's exactly what I want when I'm gonna drop $16 on a bottle of bubbly. It's refreshing, it's got excellent carbonation, the yeast from the traditional method does contribute in aroma and flavor, there's a seductive nose, and there's a mouth profile that is made for experiencing with food. It's a winner in my book.